It is with great sadness that we have to share that Leonie Janssen-Jansen passed away peacefully on the 11th of April, 2018. We have lost an inspirational, enthusiastic and critical colleague and friend. 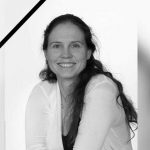 She was appointed Professor of Land Use Planning at Wageningen University and Research. Leonie passionately invested her time and effort into establishing PLPR as association as strong international academic network. She was a driving force in founding PLPR, organized the inaugural meeting in Amsterdam in 2007 and served as our first vice-president (2008-2010) and second president (2010-2012) and as PLPR thematic group leader for the Association of European Schools of Planning (AESOP). Her passing has left us bereft and deeply saddened. The PLPR community will seek to uphold her ideas and ideals in the coming times.